When it comes to keeping your cool in the competition arena as temperatures rise, Equestrian fashion brand Equetech has some great garments for keeping cool on the move.. 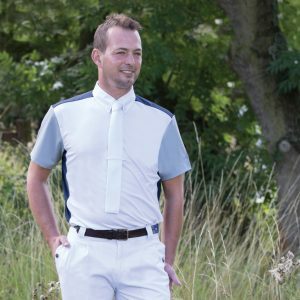 The Equetech Libertina Shirt is a gorgeous sporty stretch competition shirt with a cool mesh panel across the back for added airflow in the saddle! Also featuring a (Rat catcher) stock collar, diamanté buttons and zip pocket to side hem for stashing horse treats! The Equetech Wainscot Competition Shirt for men combines colour with technical fabric in its clever design. Featuring a crisp cotton ‘button down’ tie collar, contrast Marl Grey sleeves and Navy back panel, this shirt is breathable and quick drying with excellent wicking properties which keep you cool, whatever the temperature this summer! 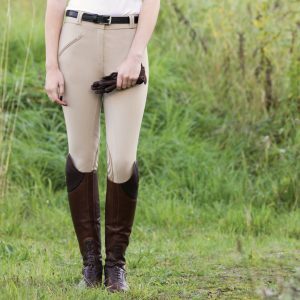 The Equetech Symmetry Breeches can help you keep your cool in the saddle with their good looks and performance styling. Integral Lycra leg panels to hem, a reinforced seat seam, silicone knee grip panels and cool cotton and spandex blend fabric add to their summer appeal!